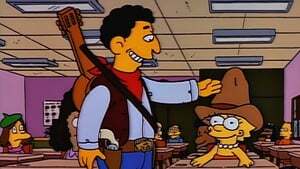 The Simpsons' second season originally aired between October 11, 1990 and May 9, 1991, and contained 22 episodes, beginning with "Bart Gets an F". 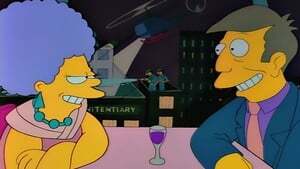 Another episode, "Blood Feud" aired during the summer after the official season finale. 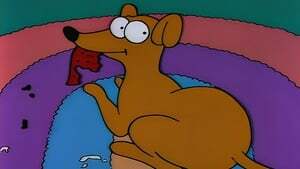 The executive producers for the second production season were Matt Groening, James L. Brooks, and Sam Simon, who had also been EPs for the previous season. The DVD box set was released on August 6, 2002 in Region 1, July 8, 2002 in Region 2 and in September, 2002 in Region 4. 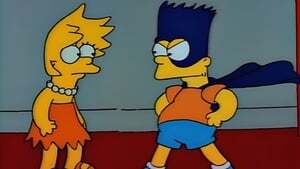 The episode "Homer vs. Lisa and the 8th Commandment" won the Primetime Emmy Award for Outstanding Animated Program, and was also nominated in the "Outstanding Sound Mixing for a Comedy Series or a Special" category. Bart fails four consecutive history exams and the school psychiatrist recommends that Bart repeat the fourth grade. 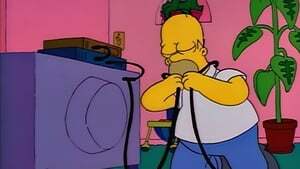 Homer uses his medical insurance to buy Dimoxinil, a miracle hair-growth formula. After growing luxurious locks, he's given a promotion which allows him to hire a secretary named Karl and makes grand promises to his family at home. The Simpson kids hide in the family treehouse and tell each other spooky stories. 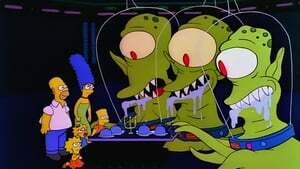 The first regards haunted houses, the second introduces Kang and Kodos for the first time in an alien abduction, and the third is a Simpson-adapted retelling of The Raven. 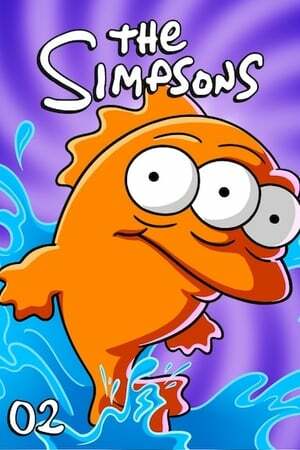 Bart catches a three-eyed fish in a river downstream of the Nuclear Power Plant. 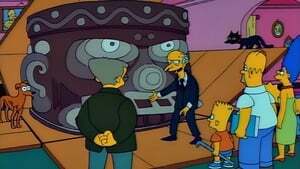 This causes the plant to become inspected, and in order to prevent it from being shut down, Mr. Burns decides to run for governor. After a hard campaign which sees Burns rise from being universally despised to running neck and neck with popular incumbent Mary Bailey, it is decided that Burns will have dinner with a random employee the night before the election. 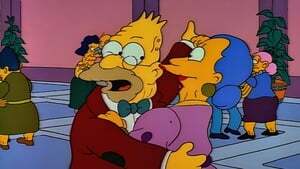 Homer is chosen, much to Marge's chagrin. 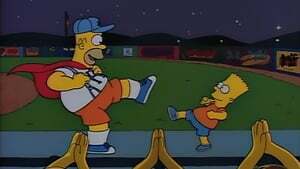 Homer fires up the crowd at a Springfield Isotopes baseball game and is chosen to be the team's new mascot. 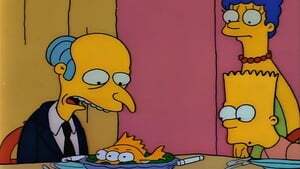 He immediately becomes a popular attraction and the Isotopes start a winning streak. As a result, Homer is promoted to a team in Capital City, the Capital City Capitals. 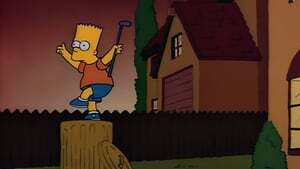 Bart and Todd Flanders decide to enter a miniature golf tournament. Homer becomes confident that Bart will win and makes a bet with Ned that the father of the boy that does not win will have to mow their neighbors lawn in their wife's Sunday dress. 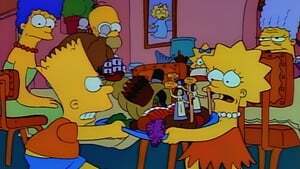 Lisa makes a table centerpiece for the Thanksgiving dinner, which Bart accidentally destroys. 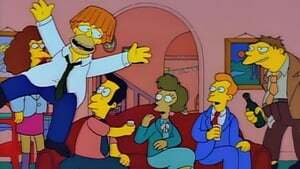 After he is sent to his room by his parents, Bart angrily runs away from home and experiences a very different kind of Thanksgiving holiday. The Simpsons go to a Monster truck rally that features famous daredevil Lance Murdock. Bart immediately becomes enamored and decides that he wants to become a daredevil as well. 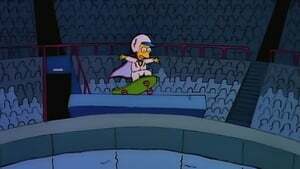 His first stunt ends in injury, but to gain the respect of his friends, he promises a far more impressive feat to them: to jump the Springfield Gorge. 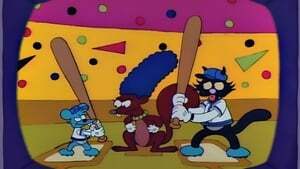 Maggie attacks Homer with a mallet after seeing it on Itchy & Scratchy. Marge begins a protest outside the production offices, demanding the show be retooled to prevent further violence. After Mr. Burns hits Bart with his car, ambulance-chasing attorney Lionel Hutz persuades Homer and Marge to sue for a million dollars. 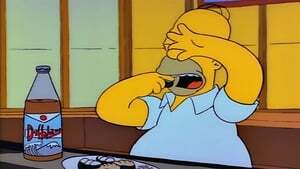 After eating poisonous blowfish at a sushi restaurant, Homer decides to live life to the fullest in the 24 hours he has left to live. When the TV breaks, Marge and Homer entertain the kids with the story of how they first met. Homer becomes the most popular guy in town when he gets an illegal cable hook-up, but Lisa fears he will go to hell for violating the Eighth Commandment. When Marge begs Homer to find Selma a husband, he sets her up with Principal Skinner... who falls in love with Patty instead. Ep.15 Oh Brother, Where Art Thou? 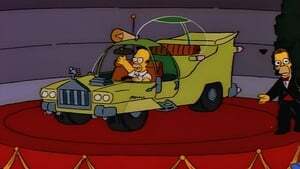 Homer's long-lost half-brother is the CEO of a car company that's wildly successful... until he hires Homer to help design a car for the average man. After a series of destructive acts, Homer decides that Santa's Little Helper must go unless he passes obedience school. 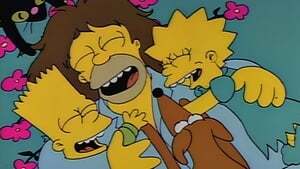 As the dog's last hours with the family approach, Bart must find a way to get through to him. When Grandpa's new girlfriend at the Springfield Retirement Castle dies, he inherits her savings and must decide the best way to spend his windfall. Marge rediscovers her interest in art and takes up painting. 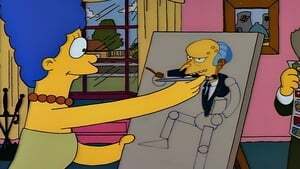 When Mr. Burns hires her to paint his official portrait, Marge tries but fails to find his "inner beauty." 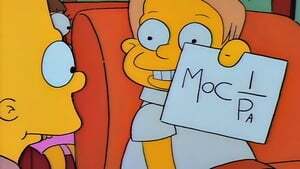 With Miss Hoover out sick, a substitute teacher takes over the class and becomes an inspiring role model for Lisa. At a lakeside retreat for married couples, Marge is determined to fix her marriage with Homer, but Homer is more determined to catch General Sherman, the freakishly large catfish that lives in the lake. Bart, Milhouse, and Martin pool their money to buy the first issue of Radioactive Man, but their investment and their friendship are threatened when they can't agree on who will keep it. 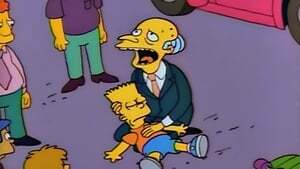 When Mr. Burns is saved by a transfusion of Bart's blood, Homer expects a handsome reward but is outraged to receive only a simple thank-you note.